Beautiful Gift of Faith. 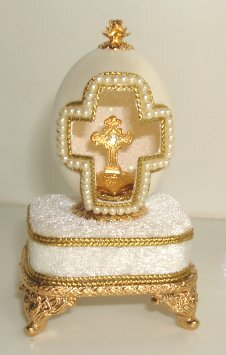 A jeweled crucifix design in authentic pigeon egg, it stands about 3" high and play's, "Amazing Grace." Very pretty and unique.